Space is the final frontier, and these ten women have established their place in it. 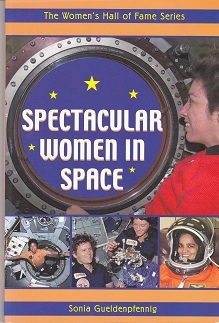 This collection of ten biographies features women who have made an important contribution to the exploration of space. Included are Jerrie Cobb, who could only dream of flying above the atmosphere; some of the first women in space, Valentina Tereshkova and Sally Ride; and members of the current generation of women astronaughts such as Julie Payette and Ellen Ochoa. This book shows the particular challenges faced by women in their quest to discover more about our universe. Photographs and sidebars containing fun facts and quotes are included.